Wow...what a year we have in store for you, Hawks. New ASB card, spirit wear, color team competitions, and so much more!!! Are you ready to get involved? What will you create that will change the world this year? Make it a great day...or not...the choice is always yours! We are so excited for this year! 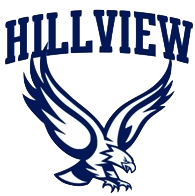 Go Hillview hawks! Here comes the 6th graders!!! I hope this year is great and I can't wait to have FUN!!!!!! !